Where is all the Hunger Games merchandise? Everyone has been wondering where they can buy Hunger Games merchandise and so far the options are pretty limited. 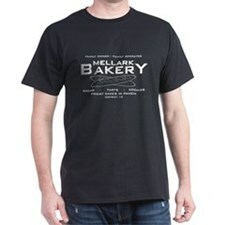 The good news is that the Hollywood Reporter mentioned this week that Hunger Games merchandise is on the way! According to the article, Lionsgate has partnered with Striker Entertainment to handle the licensing and merchandising for the Hunger Games movie. Striker is known for the Twilight franchise merchandise, which included everything from prop replica jewelry to t-shirts to party supplies to beauty products. Lionsgate saying that merchandise will be strong in “specialty stores” leads us to believe that we will likely find it in places similar to the Twilight merchandise such as Hot Topic. The down-side is that it sounds like there is going to be a lot more movie publicity before any of the merchandising starts. That will make it hard to find Christmas gifts for Hunger Games fans. Here are some things we are hoping to see when the Hunger Games products start to be released: lots of t-shirts including all of the main characters, character and district bookmarks, Mockingjay items including the pin, and party supplies for throwing the ultimate Hunger Games movie party. If you absolutely need some Hunger Games merchandise before March, you can always check Amazon where a number of retailers still have products from the release of the Mockingjay book. A lot of it is more expensive than when it was initially sold, but there are still some great options such as Hunger games shirts, Hunger Games jewelry, and even a Hunger Games: Training Days board game.